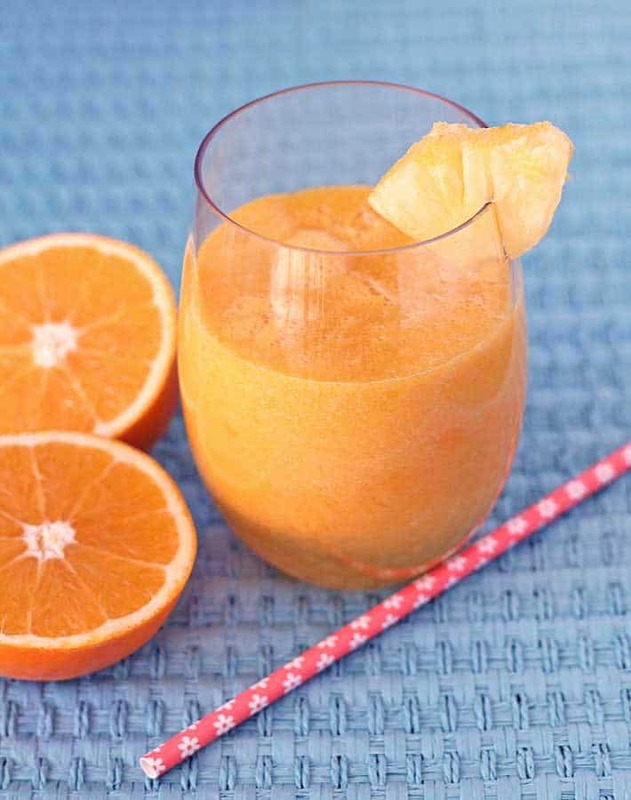 This easy-to-make, refreshing pineapple orange mango juice is just what you need when you’re looking for a tropical juice recipe to brighten your day! I’ve come to accept that we will not be flying to a hot destination to temporarily escape the winter coldness this year. I’m OK with that because I have many things to keep me busy, exciting things to look forward to this year, and my tropical pineapple orange mango juice so I can pretend I’m somewhere hot during the short time it takes to drink it! 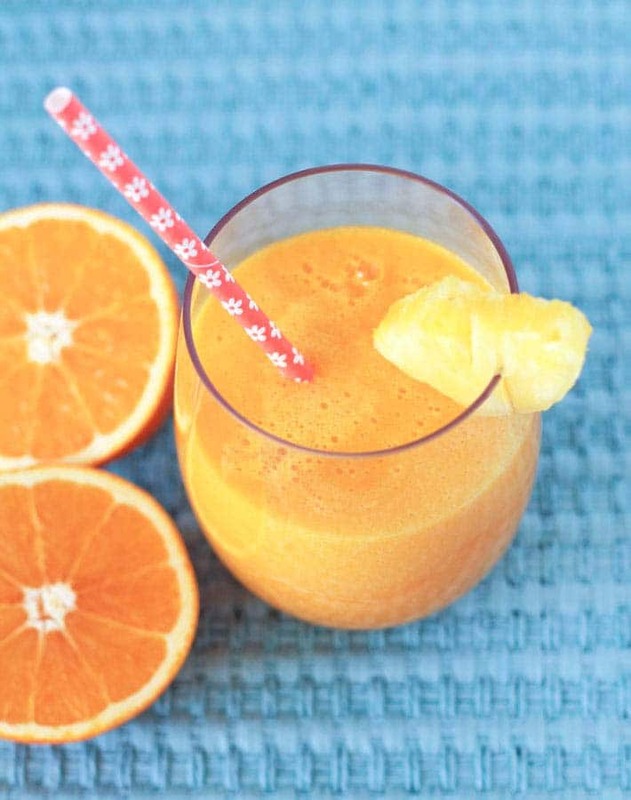 How Do You Make Pineapple Orange Mango Juice? 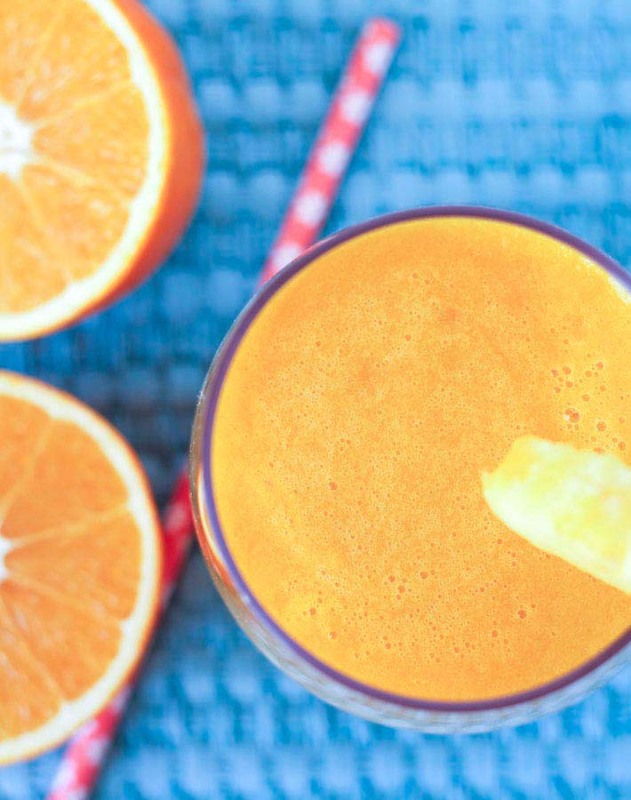 This is the simplest juice you can make. Actually, if you’ve made your own juice before, you know that most (if not all) are simple to make. This one is exactly what the name says: pineapple, oranges, and mango. Nothing else. The hardest part (and it’s not hard at all) is peeling and preparing everything…and maybe cleaning the juicer afterwards! Simple prepare your ingredients and run them through your juicer. That’s it! I’ve had my juicer for a few years now, I’ve used it quite a bit, and I like it a lot (despite the fact that it does not clean itself!). This is the juicer I have in case you are looking to buy one for yourself (Amazon link). It’s compact and does a great job. The only juice I’ve shared here so far is my Beet Carrot Apple Juice, but that’s it! This year, I plan on sharing more juice recipes because as mentioned above, juices are simple to make. They’re also delicious and nothing like store bought because they’re fresh and you get to control the flavours and ingredients. 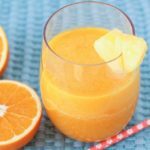 In the mean time, if you want to find more delicious juice recipes, have a look through and follow my Healthy Juice and Smoothie Recipes Pinterest Board. 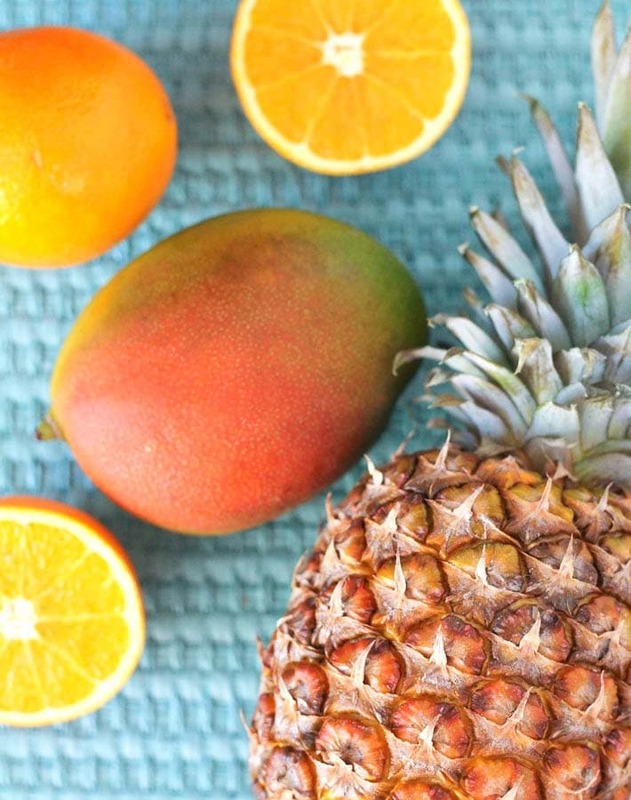 If you’re making your pineapple orange mango juice in the middle of winter, imagine yourself sipping on it while sitting on a beach and that it was just freshly made from fruits picked from nearby trees. When done, get back to real life and when you feel the need to escape to your warm beach, make the recipe again…and repeat. Sometimes, it’s the little things, right? If you make your own tropical getaway juice, post a pic on Instagram and tag me @delightfuladventures #delightfuladventures, I’d love to see! And don’t forget to pin it to Pinterest! 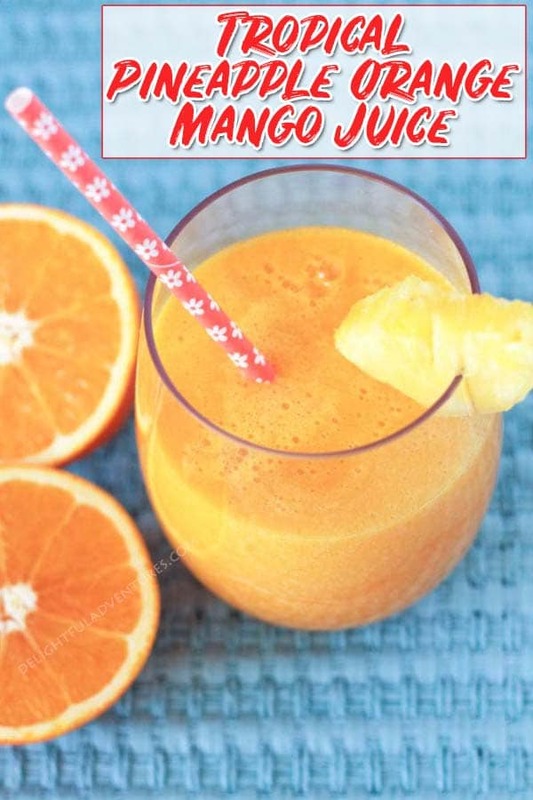 This easy-to-make, refreshing pineapple orange mango juice is just what you need when you're looking for a tropical juice recipe to brighten your day! Run all fruits through your juicer. This recipe makes 400ml / 13.5oz of juice. No need to core the pineapple, I keep the core and run it through the juicer as well. Nutrition info is only to be used as a rough guide. Click here to learn how nutritional info is calculated on this website.